Our server migration project is so far ahead of schedule, we've decided to make the server switch immediately, mid-season to cut costs, and get it over with. Play will be suspended immediately, resuming on the 26th of July. Just a reminder, as posted in the forums: to ensure the long-term viability of the league, I am taking it over as commish, and hosting FCB on a different server. 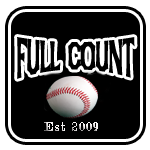 4) The fullcountbaseball.net website will be down for several days during this change. Fixing graphics, content on the first page is low priority. Our top priority is on resuming play.